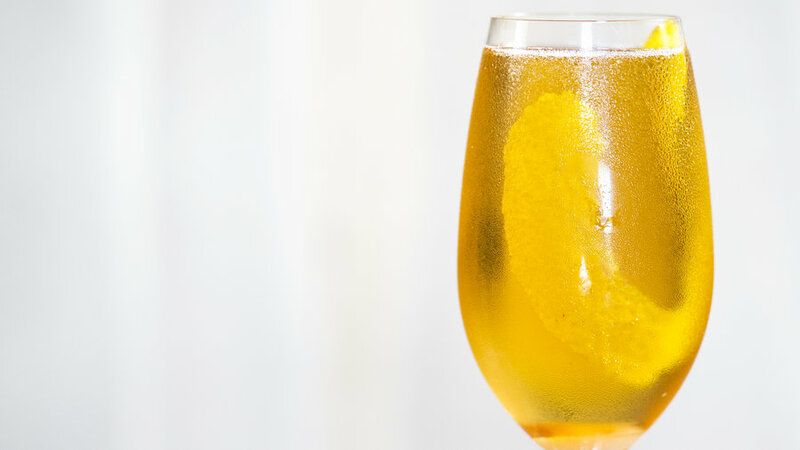 Using cava and sloe-berry liqueur, this sparkling cocktail makes a good start for a tapas party. The recipe comes from the San Francisco restaurant Aatxe (“aaa-che”). 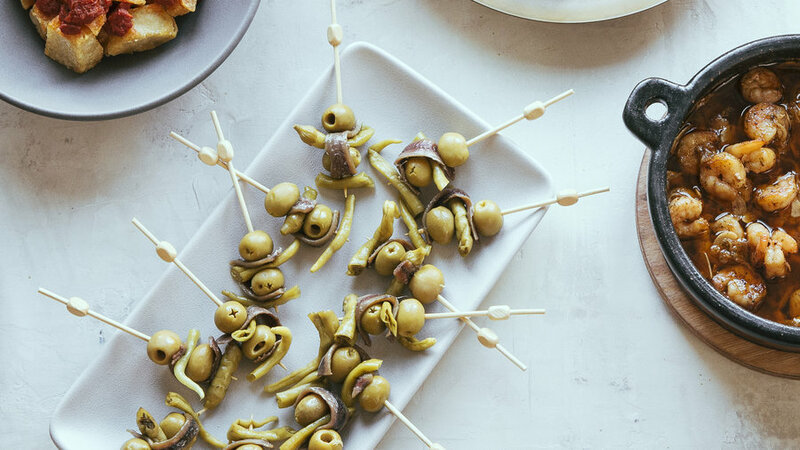 Thought to be one of the oldest pintxos—Basque-style appetizers—this is a shining example of how great preserved foods can lend themselves to nearly instant appetizers. 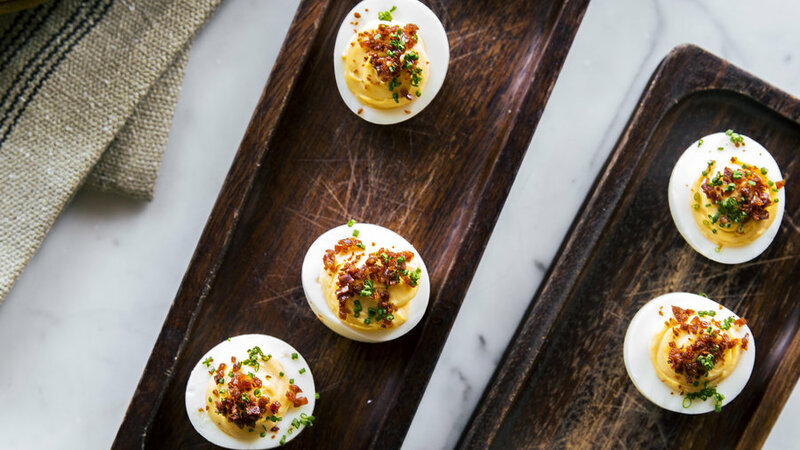 Deviled eggs are a great invention in and of themselves. Add smoked Spanish paprika, homemade mayo, and crisp Spanish chorizo, and they’re out of this world. Little fried dumplings constitute a whole category of Spanish snacks. These, from San Francisco restaurant Aatxe, are filled with a creamy mushroom-spinach mixture that contrasts delightfully with the very crunchy exterior. 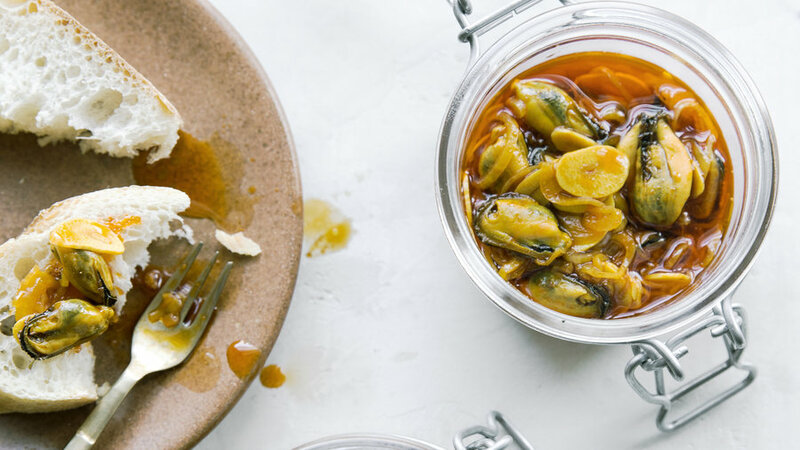 Even if you don’t think you’re a fan of mussels, you should have at least one small bite of this bewitching dish, in which freshly cooked mussels are submerged in a smoky, earthy, garlicky paprika oil and marinated. The spicy oil alone, spooned on warm bread, is worth making the recipe. 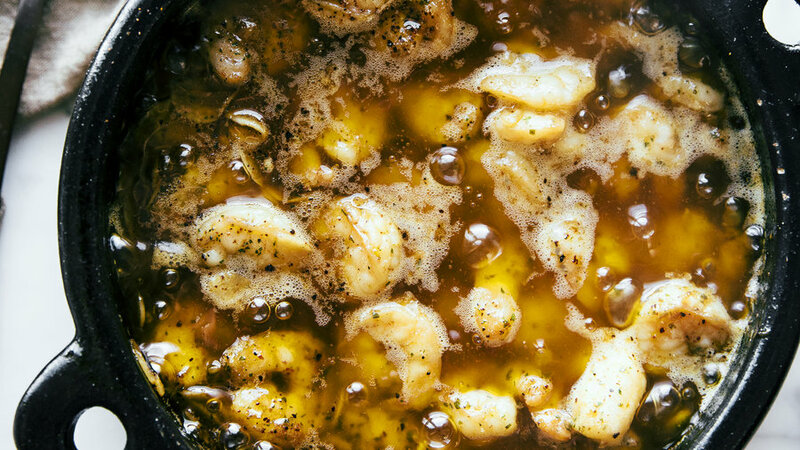 This garlicky shrimp dish, served bubbling hot and fragrant, is another must-have small plate on every tapas menu. How nice that it’s extremely easy to make. 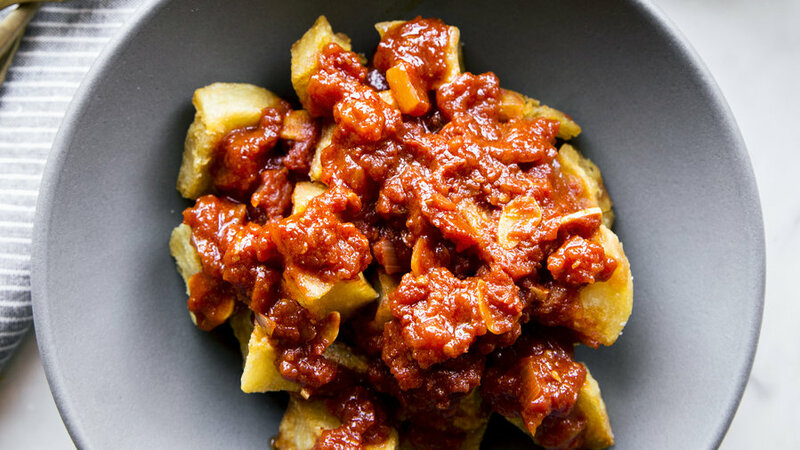 Crunchy fried potatoes swathed in spicy tomato sauce, with garlic mayo on the side: It’s hard to convey just how good this is. Plus, you can fry in advance, so no need to do it when your guests are there. 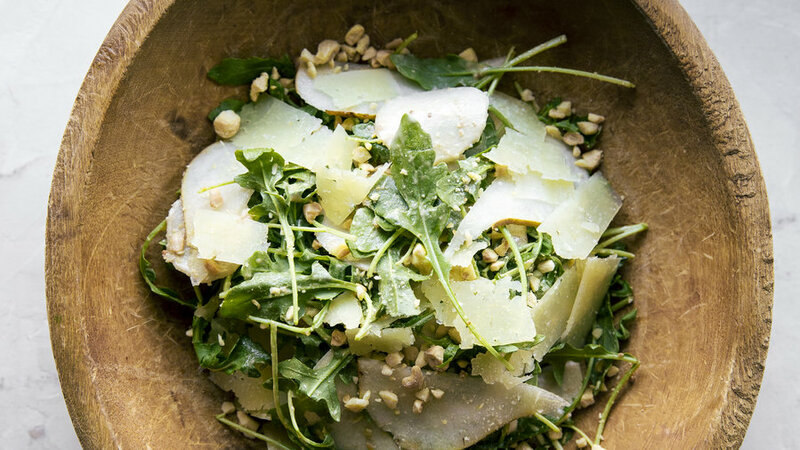 Chef Ryan Pollnow of Aatxe Spanish restaurant, in San Francisco, created this salad to go with a tapas dinner party he put together for Sunset. It’s an ideal accompaniment to rich, bold Spanish flavors. 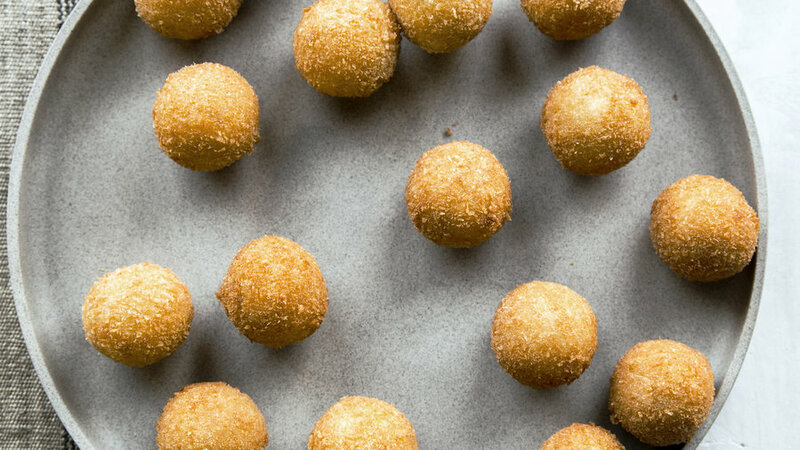 In Spain, these luscious, sweet-savory bites are often filled with potent Cabrales blue cheese and wrapped in Serrano ham instead of bacon.